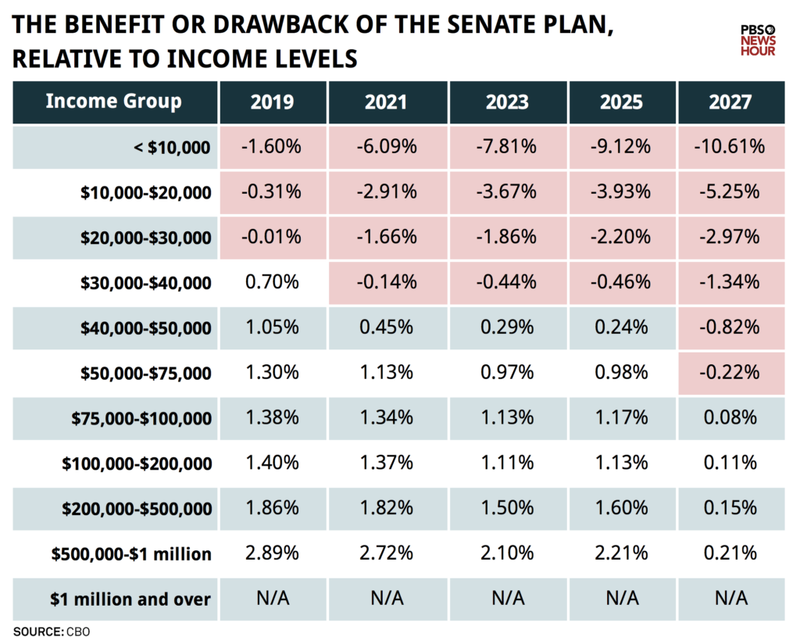 A Congressional Budget Office report released Sunday found that the Senate tax plan stands to disproportionately help the wealthy, while barely benefiting the middle class and causing the poorest Americans to lose money. 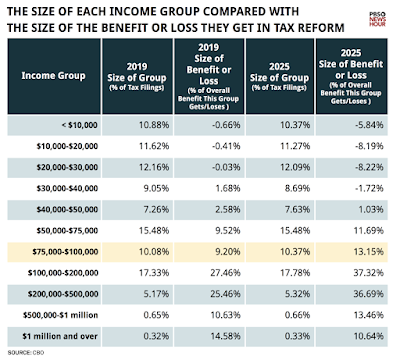 That's relevant to rural America, since rural residents tend to be less well-off, generally. 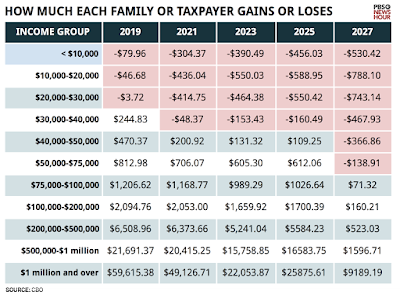 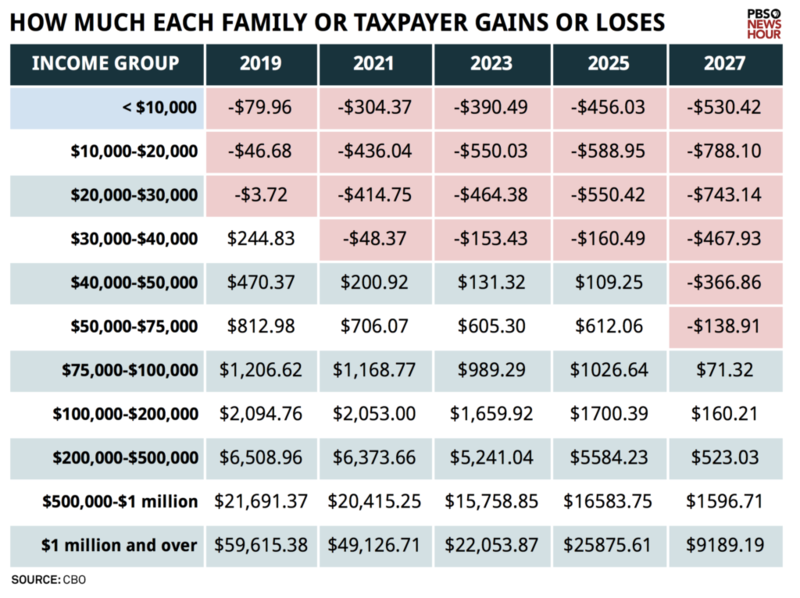 PBS analyzed the data and produced three easy-to-understand charts that illustrate the bill's effect. 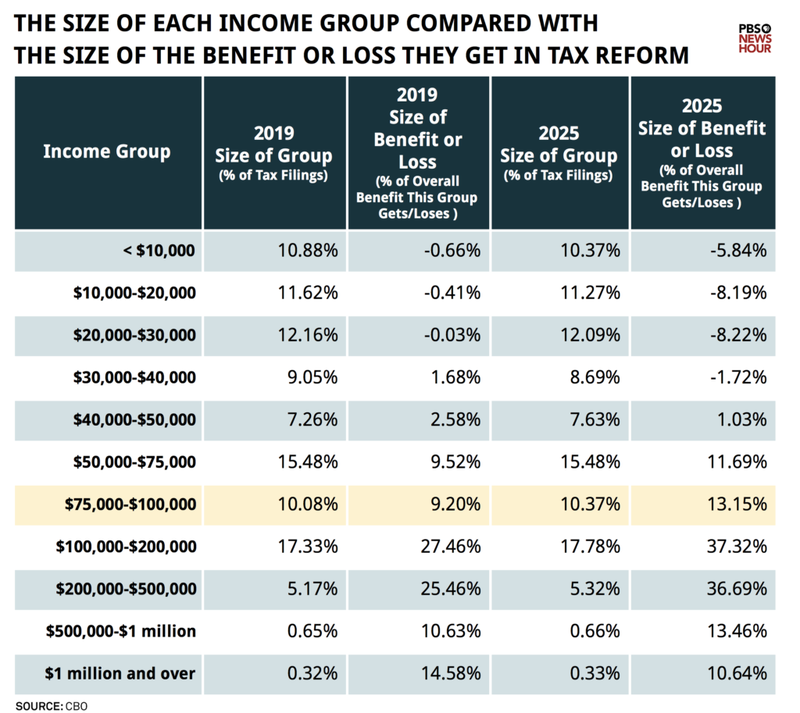 "These numbers show what conservatives rarely say directly these days — that they believe the U.S. tax system is too progressive, and moves too many resources from the rich to the poor," Desjardins writes. 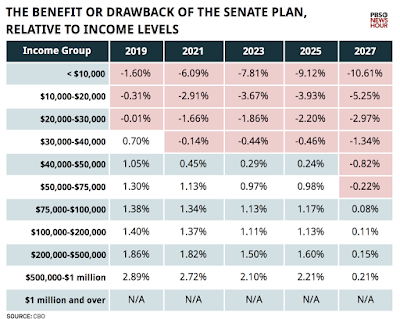 "The GOP tax plan is a decided shift in the other direction."